The Andrew Thomson Prize in Applied Meteorology is awarded to a Society member (or members) for an outstanding contribution to the application of meteorology in Canada . This award has been in existence since 1966, first presented in the sping of 1967 during the inaugural Congress of the Canadian Meteorological Society. The following are extracts from his biography. Already widely travelled, Dr. Andrew Thomson joined the Meteorological Service in 1931. He retired from government service in 1959 and died in 1974 so most people working in Canadian meteorology today never knew him. To those surviving retirees who joined the Meteorological Service during World War II, however, Dr. Thomson will always remain a very important person in their meteorological world. As Assistant Controller, he was the man who had the final word on whether or not you were hired and where you were posted, and he was the man with whom you visited if you ever had the opportunity to go to Toronto on leave. Few of us ever saw, let alone had the opportunity of talking with, the Controller (director) at that time, Dr. John Patterson. While there were usually a few experienced meteorologists at Headquarters to look after the training courses and to administer the postings and other details, we knew that behind it all was "Andy" Thomson who had the last word regarding the wartime Meteorological Assistants (BA meteorologists) hired for service with the British Commonwealth Air Training Plan. Named an Officer of the British Empire in 1946 for his wartime contributions, Dr. Thomson became Controller of the Meteorological Service later that year. 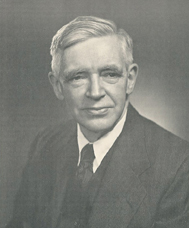 A founder of the Canadian Branch of the Royal Meteorological Society in 1939, Dr. Thomson never ceased being a supporter of it and its successor, the Canadian Meteorological and Oceanographic Society. From 1967 to 1973 he subsidized the Society's "Andrew Thomson Undergraduate Student Prize" and later his name was given to this award, the "Dr. Andrew Thomson Prize in Applied Meteorology," a prize which was first given in 1966.